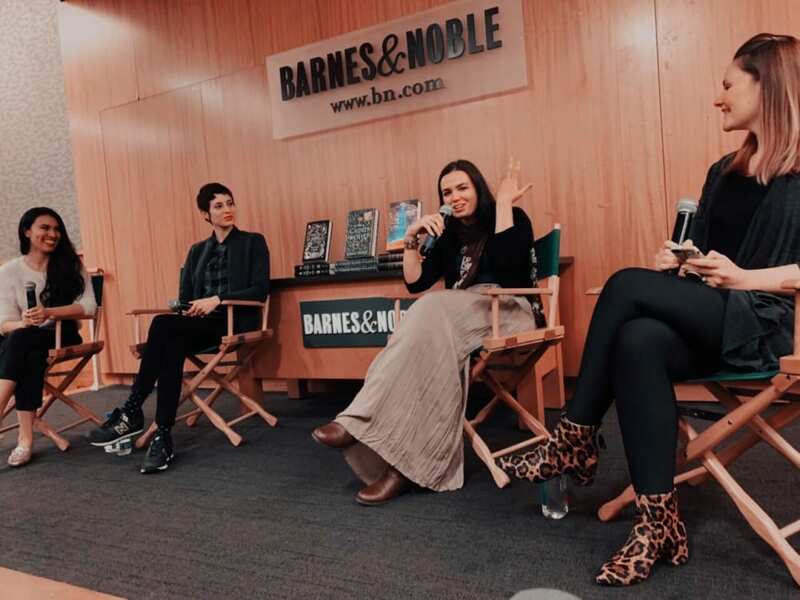 Last week I had the pleasure of moderating my first book launch party at the Barnes & Noble on the Upper East Side. 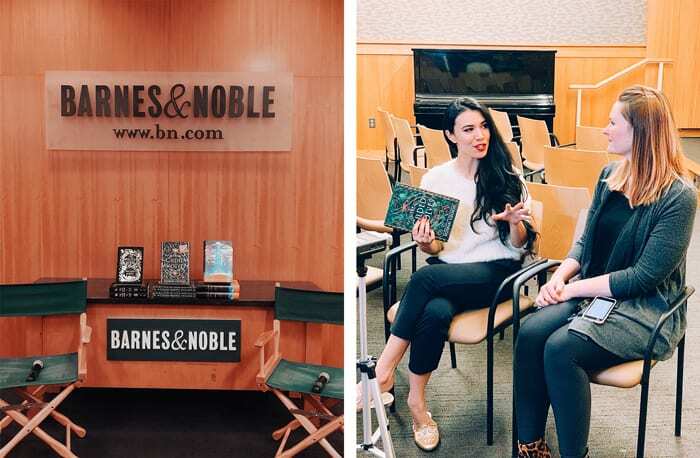 I’ve moderated panels at conventions before and I’ve been a guest speaker on several panels, but I hadn’t ever had the opportunity to participate at a bookstore event. Wednesday Books reached out to me and asked if I wanted to moderate for the release of Roshani Chokshi’s newest novel, The Gilded Wolves, which I just so happened to have read and loved the month prior. I basically jumped at the opportunity! Not only did I get to chat Roshani (we also got to film a video together before the event), but Melissa Albert (author of The Hazel Wood) and S.A. Chakraborty (author of The City of Brass) were also part of the conversation. It’s still pretty surreal to me that I got to moderate for such an amazing panel of female authors! I had a lot of fun coming up with questions and Alexa was super helpful in brainstorming along with me. I wanted to ask questions that were broad enough that all of the authors could contribute answers, but that were unique enough that they wouldn’t be the same things you hear at every event. I’m really happy with the outcome and I think everything went splendidly (and so people told me thankfully). I will admit that I had been nervous- more nervous than I’ve ever been for an event which is odd because I absolutely adore public speaking. Rachel, Alexa, me & DJ! That is seriously SO awesome! What an amazing opportunity ♥ I loved The Gilded Wolves! How exciting! And I am in LOVE with your shoes! Thank you!! They’re my favorite of all of my recent shoe purchases! I watched your video, it looks like you had such a blast hosting this event! You are amazing! 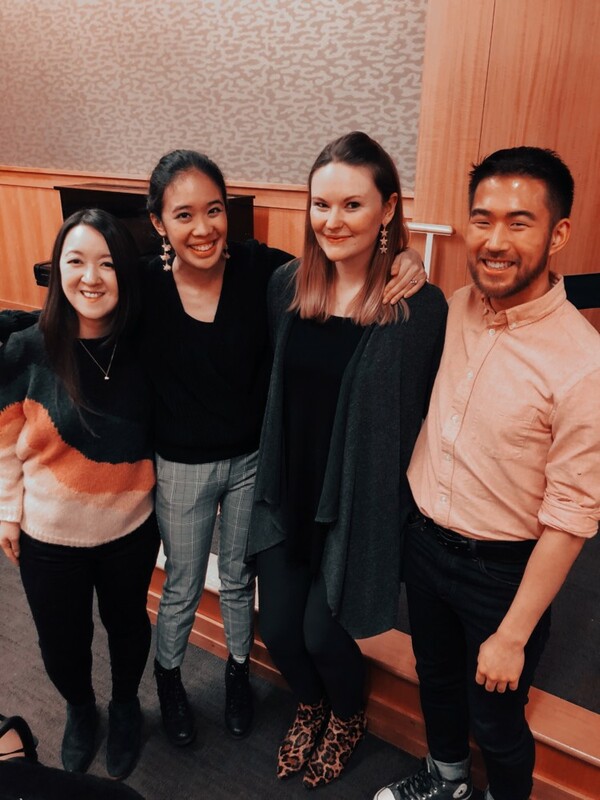 Here’s to many more book events in the future!